How has oral cancer affected Jim Kelly? Listen to his voice. Or, rather his articulation. Can you imagine how he eats differently, swallows differently, sleeps with difficulty? Oral cancer is devastating and you cannot hide the results under your clothes. 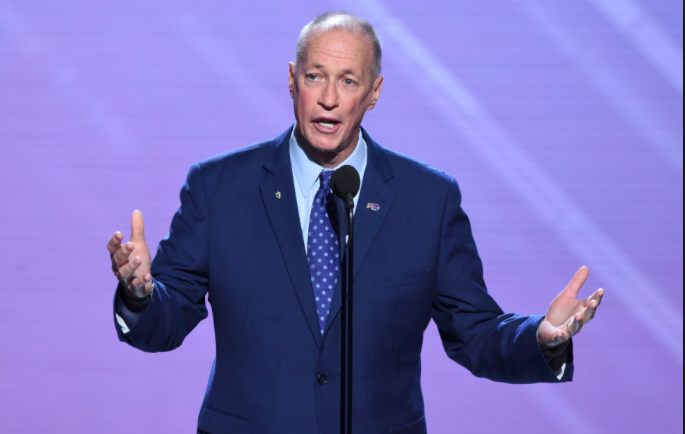 Jim Kelly accepts the Perseverance Award from ESPYS and gives a 5-minute acceptance speech mentioning his son Hunter and how to live our uncertain lives with love, faith, family and strength. However, he doesn’t talk about the signs and symptoms of oral cancer, his own disease. He had the opportunity to raise awareness and potentially save lives. The Buffalo Bills quarterback was a tobacco-chewer and diagnosed with oral cancer at age 47 in 2013. He had surgery but no follow-up treatment. In 2014, he had his first recurrence and had both chemotherapy and radiation. He had a second recurrence in 2016 and given a 10% chance of surviving. He had a third recurrence this year. People look up to sports heroes as role models. Jim, please use your fame and following to educate the world about the symptoms you experienced before diagnosis. Share your wisdom about dentists and doctors and what we need to do when we feel a lump in our neck, or a one-sided sore throat, difficulty swallowing or an unexplained hoarseness. The only way to raise awareness on a big scale is for someone like you to do it. I couldn’t agree more! Not only will he help the general public by being open about his battle with oral cancer, but he will inspire survivors and those who are in the fight.